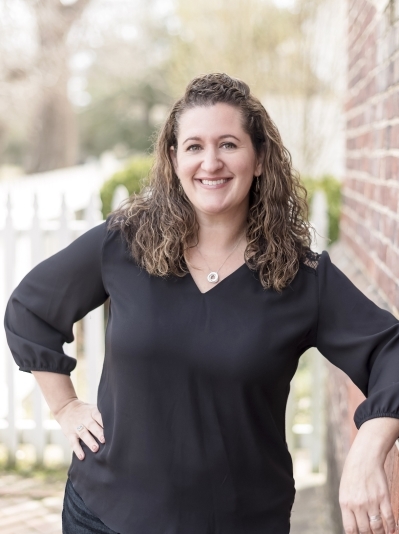 Courtney Martinez has been a full-time REALTOR® since 2003 and a resident of the Williamsburg area for over 20 years. Her experience in the area helps to provide expert knowledge to her buyer and seller clients about the real estate market. Skillful negotiation, tenacity, resourcefulness and attention to detail have proven key to growth in her real estate career, where she is regularly in the top 2.5% of agents in the Williamsburg market. She is passionate about providing top quality customer service to her clients by listening, communicating and being available. Courtney works with a network of well-respected contractors, lenders and attorneys. These network professionals have proven to be an asset to her clients. Their dedication and professionalism couples with Courtney’s efficiency and open communication style. The buying and selling process is streamlined and reduces the client stress and increases their satisfaction! Courtney holds a B.S. in Business Management from Virginia Tech…LET’S GO HOKIES!! She is a member of the Williamsburg Area Association of REALTORS®, Virginia Association of REALTORS®, National Association of REALTORS®, Commonwealth Multiple Listing Service Co-op and Real Estate Information Network/Hampton Roads MLS. Along with continuing education, she has a Short Sales and Foreclosure Resource Certification and is trained to expertly assist corporate relocation and military buyers and sellers. In addition to her passion for real estate, Courtney is also devoted to her local community. Courtney is an active member of the Relay for Life team "Sassy Sisters of Williamsburg Christian Church", supports 3e Restoration Inc. and participates in monthly service projects. Courtney and her family enjoy music, traveling and their favorite place to visit is the beach! Call Courtney today and get started with your home buying or selling process! Welcome to this elegant one-owner home in the City of Williamsburg. Beautifully kept and well appointed, you will enjoy the details here. This open floor plan is great for entertaining â“ it offers a family room with gas fireplace and access to the rear deck, an open dining room with access to the 3-Season room and graceful kitchen with granite countertops and pantry. There is extensive millwork, plantation shutters throughout, built-in shelving, recessed lighting and a walk-in attic for storage. The first-floor bedroom, with access to a full bathroom, could also make a great office. The spacious master suite has a walk-in closet and large bathroom with double vanities and the third bedroom has a private half bath of its own. This home is located with easy access to Rt 199 but is tucked away in the sought-after Carriage Homes at Holly Hills community in the City of Williamsburg.